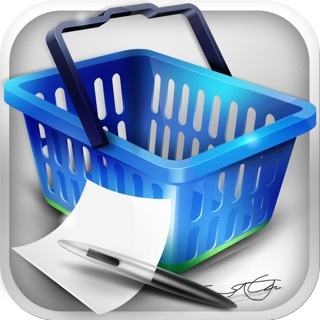 This grocery list app is a fast and fun way to create a grocery shopping list on your iPhone, iPad, and iPod Touch! 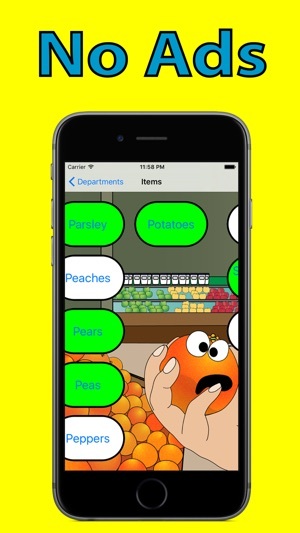 Tap on a grocery department, then tap on the items you need. It's fast! 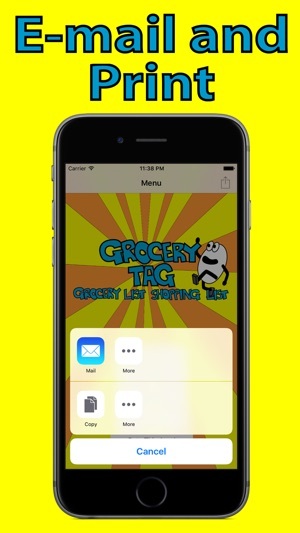 The Grocery Tag app has already sorted and organized items for you! Speed up your shopping trip by tapping on large buttons that turn bright green as each item is selected. You do not have to input items! Quick select items from twenty-one fun cartoon grocery department panels. This grocery list has an easy interface to use. 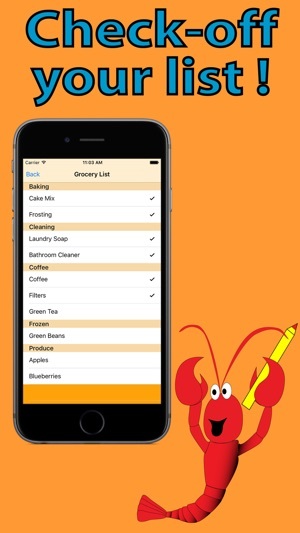 Download now and enjoy a simple way to create your grocery list. 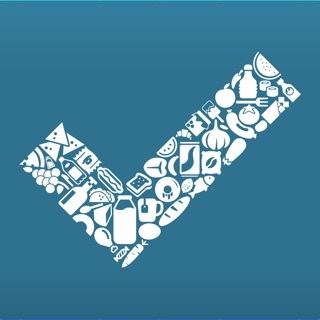 "This grocery list app has buttons that are easy to see. I like that it remembers my selections. 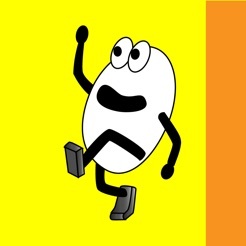 The art work is creative and fun. I am able to e-mail the list to my phone." Add and delete custom items! Only reason I didn’t give it a 5 star is because every time l look at the list, it refreshes the icloud and wipes out my list if I go back, but going back is the only option! Grrrr. Other than that I love this fun, happy program with a data base I can add to and print out (paid version) If they fix the glitch, it is well worth the price! Having the ability to add/delete/edit categories and as well as being able to add/delete/edit items would be an asset for this program. I would pay extra for that. Oh, and to be able to add how many of each item and whether there is a coupon or not. Go to each category, tap what u need, puts it in a list, DONE! .. I write lists- to forget them at home, download apps- never take the time to type out a list.. 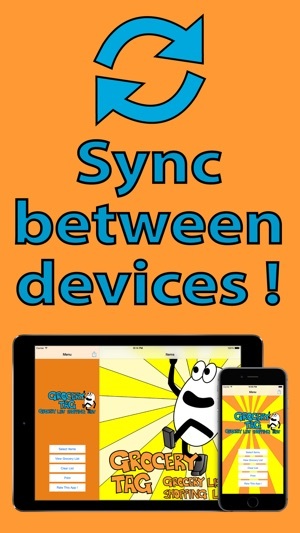 The simplicity of this app WORKS for me! I love this app. It is well worth the purchase. Instead of a paper list the easy tap on selections are so easy and I love the images!